Celestial Enterprises Unlimited, Inc. - Redeeming Life Ministries "And they shall call them, The Holy people, the redeemed of the Lord" (Isaiah 62:12). "And they shall call them, The Holy people, the redeemed of the Lord" (Isaiah 62:12). The mission of Redeeming Life Ministries is to help meet the need that hurting women have for a psychologically safe environment where they can become empowered and learn to deal with the impact that emotional and spiritual distress has had on their lives. Our professionally trained counselors are spiritually mature and use the Word of God and prayer in their counseling and apply biblical priciples to life application. 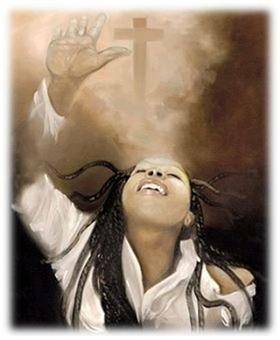 The primary goal of Redeeming Life Ministries is to empower abused, broken and disenfranchised women by helping them to become confident, competent and whole--emotionally, physically and spiritually through faith-based individual and group counseling, workshops, empowerment seminars and retreats. Another goal is to help women discover their God-given gifts and talents and to learn how to use them in creative and productive ways that will increase their sense of self-worth and achievement. No matter what challenges women have endured in their lives, we know that they can be redeemed. They can reclaim the lives that God had originally ordained for them. If they are willing to believe that God can help turn around any situation and that He will work out all things together for their good, they will be set free from fear and hopelessness. As they take the necessary steps they must to recover, they will find that through counseling, support and God's guidance, past stumbling blocks can be turned into stepping stones for a more successful future. These women shall be made whole in their minds, spirits and functioning to live life more abundantly. Redeeming Life Ministries believes, "For nothing is impossible with God" Luke 1:37. "Since the day we heard about you, we have not stopped praying for you and asking God to fill you with the knowledge of his will through all spiritual wisdom and understanding. We pray this in order that you may live a life worthy of the Lord and may please him in every way; bearing fruit in every good work, growing in the knowledge of God, being strengthened with all power according to his glorious might so that you may have great endurance and patience, and joyfully giving thanks to the Father who has qualified you to share in the inheritance of the saints in the kingdom of light"
Our Titus II Mothers (Christian women mentors) respond to your prayer requests by offering Biblical wisdom along with intercessory prayer. We also desire to share our personal experiences - both victories and defeats - in order to help others who are searching for answers or needing encouragement. See Prayer Requests page. Mentoring is a very popular concept today, and why not? It's scriptural, it's our nature to nurture, and there is so much negative influence from the world. Our young women are not being taught to value godliness. In fact, many of our senior women have been persuaded away from the godly principles that were once foundational in every American home. It is our desire to be godly influences in a world that doesn't often promote moral or ethical standards. Titus II Mothers have a burden for women because of the many stressful demands that are placed on them in today's culture, and we desire to be Godly influences in a world that doesn't often promote moral or ethical standards. Mentoring takes time, and our schedules are already so full. How can we carve out enough time to establish meaningful mentoring relationships? Through the Redeeming Life Ministries, God is bringing together a wonderful collection of mature Christian women who desire to be like the Godly mentors mentioned in Titus 2:3-5. These women come from different backgrounds, have different careers, and draw from a broad range of experiences. It is our desire to offer young women encouragement, affirmation, and edification as they face the many difficulties of being the virtuous women God has called them to be. In May 2013, the Lord blessed Minister Childs with the opportunity to attend a MORNING DEVOTIONAL at CURE INTERNATIONAL HOSPITAL in Santo Domingo, Dominican Republic where the Lord has planted her to be aout "my Father's business." She met Elba Lopez, the Spiritual Director of CURE in Santo Domingo, through the church they both attend, INGLESIA BUENAS NUEVAS (CHURCH OF GOOD NEWS). She was recruited as a Volunteer writer to interview CURE MOTHERS who have children with physical deformities, and to write their "stories." BELOW: Minister Mariah Childs (left) and Elba Lopez, Spiritual Director at CURE INTERNATIONAL HOSPITAL in Santo Domingo, DR.
Minister Childs is an anointed writer who uses her talent to often be the "voice" of people who are suffering, disadvantaged and disenfranchised throughout the world not able to "speak up" for themselves by writing and publishing their "stories." She believed that CURE MOMS have powerful personal "stories" to share regarding the suffering, pain and hardships that they have been forced to endure because of their children's physical deformities. She also believed that by sharing their "stories," they would be able to reach other mothers in despair and not knowing what to do or where to take their children for medical care. The message of CURE MOMS was unanimous and simple, "Do not accept "No" or "It's too late." "With the help of God and the dedicated doctors at CURE, "miracles" are happening every day, and lives and families are being transformed." She began by interviewing 5 mothers after the MORNING DEVOTIONAL SERVICE at CURE in Santo Doming May 1, 2013, and interviewed another 5 on May 24 th.Their "stories" were filled with faith, hope and determination to find healing for their children no matter how dificult. "It was such a rewarding experience, according to Minister Childs, to listen these mothers freely share their fears, sadness, hope and trust in God's faithfulness to heal their children," shares Minister Childs. The journeys that these mothers have been on with their children with little money, have been almost impossible. But with sheer determination, faith and trust in God, they beat the odds agains them! Their "stories" will be reminders of God's faithfulness to them and serve to inspire other mothers of physically disabled children who are feeling hopeless and do not know where to turn that "with God and CURE all things are possible." On May 17, 2013, God blessed Minister Childs with the priviledge to preach a sermonette at the CURE MORNING DEVOTIONAL to help encourage and strengthen the faith of CURE MOMS and to increase their trust and faith in God to heal and do "great and mighty works" through Jesus Christ today, just as he did thousands of years ago. Volunteers from Michigan, USA were in attendance too and witnessed the mighty works of CURE doctors and Almighty God. BELOW: Pastor TiTo (rear) (middle, Spanish translator) Minister Mariah Childs (front right) preaching the Gospel. BELOW: CURE MOMS with their cildren and Volunteers from Michigan, USA listening to Minister Childs preach. CURE INTERNATIONAL HOSPITAL has certainly been a "Godsend" to these and countless other children throughout the Dominican Republic. It is wonderful to be able to witness firsthand the changes that have occured in the lives of children and their families as a result of the surgeries that have been performed by CURE doctors for children with club feet, dislocated knees, cleft lips to name a few. The following is a little glimpse into the doors of CURE HOSPITAL in Santo Domingo, DR. from the hearts of CURE MOMS. CURE HOSPITAL in Santo Domingo is a hospital specializing in performing surgerical procedures for children born with physical deformities and disabilities. The hospital celebrated the mothers of its patients throughout the month of May in a variety of special ways to let each one know how valuable she is for the role she is playing as a mother to a "special" needs child. Other innovative initiatives will be forthcoming. A common thread that stitches the mothers together is "each mother's belief that at CURE her child is receiving the best care of any other place she has gone to try and get medical care for her child in Santo Domingo." Another aspect of the Santo Domingo based CURE HOSPITAL that is held in high regard by the mothers that were interviewed is the caring and respectful atmosphere that permeates throughout the whole hospital from staff, nurses, and doctors towards the children and their parents. Here, each child feels loved and accepted. Like other CURE HOSPITALS throughout the world, the total environment is "welcoming"--a place where "everyone" is valued and lovingly treated like a member of the CURE HOSPITAL"family." refused to accept the words "no" or "it's too late" as the final answer. Regardless of their limited economic situations or their ability to access the types of medical care and treatment that their children desperately needed, they each "pressed on" to find solutions for their children's special medical needs. This in turn, led each of them to the CURE HOSPITAL in Santo Domingo, whether they came by way of a referral from a pediatrician, or suggestion of a friend, or staff member here. According to a few mothers interviewed, a staff member at CURE Santo Domingo, Luz, seems to be a shining light of God's intervention that has led several mothers here to CURE to get hep they could not find elsewhere for their children. It is wonderful for Minister Childs to witness that the patients and their families are treated with the utmost care, concern, and respect, regardless of their ability to pay. A genuineChrist-like SPIRIT radiates on the smiling faces and in the attitudes of staff. The patients are made to feel welcome and special regardless of the physical infirmities that brought them to seek refuge at CURE, or their social or economic status. Truly the Spirit of God is in this place. Always remember that you are The Designer's Original! "You are fearfully and wonderfully made" Psalm 139:14. Individual Counseling is also available. Redeeming Life Grief Ministry provides holistic individual and group counseling, companioning and support to men, women and children suffering from the effects of loss and grief, emotional and physical abuse, miscarriage, broken relationships, divorce, unemployment, failing health and HIV/AIDS. Services are provided by professionally trained counselors and volunteers. Confidentiality is a foundational principle of the ministry. Called by the healing ministry of Jesus, our mission is to help comfort and heal those who mourn: the abused; the homeless; the motherless; the fatherless and those affected and infected by HIV/AIDS and other illnesses through counseling, publications and other initiatives. "Providing the oil of gladness instead of mourning"
We bring hope and healing through biblical tenets, prayer and counseling for people who have experienced the death of a loved, a failed relationship or unrealized dreams. Our holistic care is dedicated to the spiritual support of individuals, churches and communities. Our goal is to provide resources and training programs to support ministries of consolation. We also strive to network, collaborate and partner with ministries of consolation and churches on a national and international basis. Currently, we are in collaborative partnership with Harvest Tabernacle International Ministries in the Atlanta, GA area to help spread health awareness and information to churches and groups nationally and internationally about the HIV/AIDS pandemic in Africa,Haiti and the U.S.A. through creative initiaties. See www.harvestlodgehomesandservices.org. "...to comfort all who mourn, and provide for those who grieve in Zion--to bestow on them a crown of beauty instead of ashes, the oil of gladness instead of mourning, and a garment of praise instead of a spirit of despair" Isaiah 621:2b-3 (NIV). Are you grieving due to:Death, Divorce,Separation, Miscarriage, Failing health or Unemployment? You don't have to grieve alone! Let Redeeming Life Grief Ministry help. 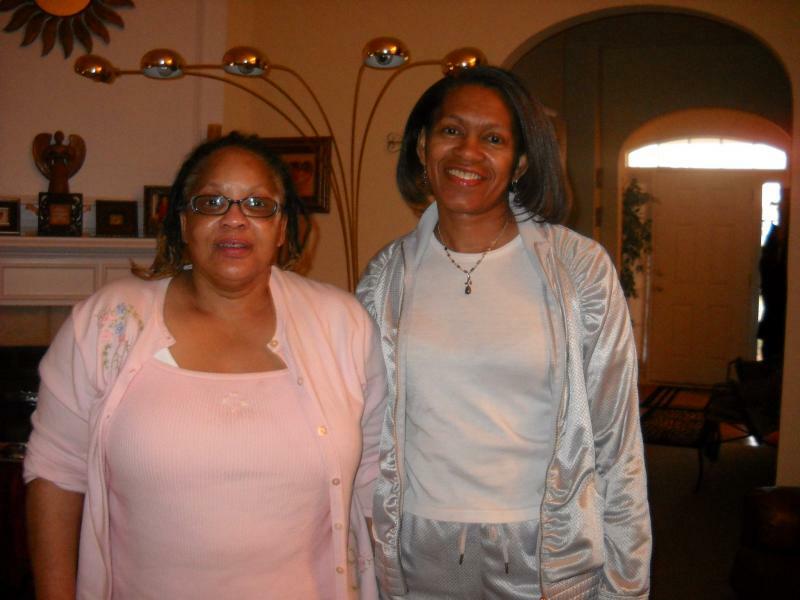 Elder Willette Mosby-Reynolds, right, former director of Redeeming Life Grief Ministry at Greater Cleveland Avenue Christian Church in Winston-Salem, NC (planted by Elder Mariah Childs) with Mareia Dunlap, a ministry volunteer who helped raise funds for Elder Childs' trip to South Africa in 2006.